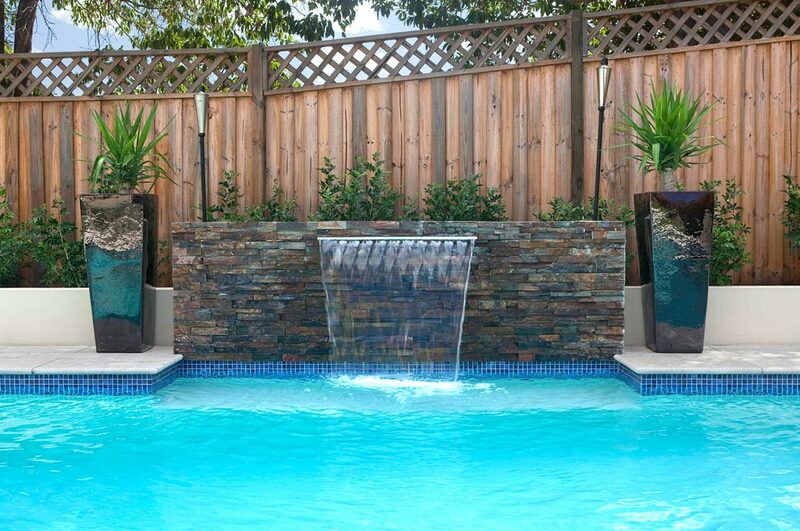 One alcove of this swimming pool features a stacked stone Sheer Descent Waterfall above it so you can sit below it and have the water wash over you. 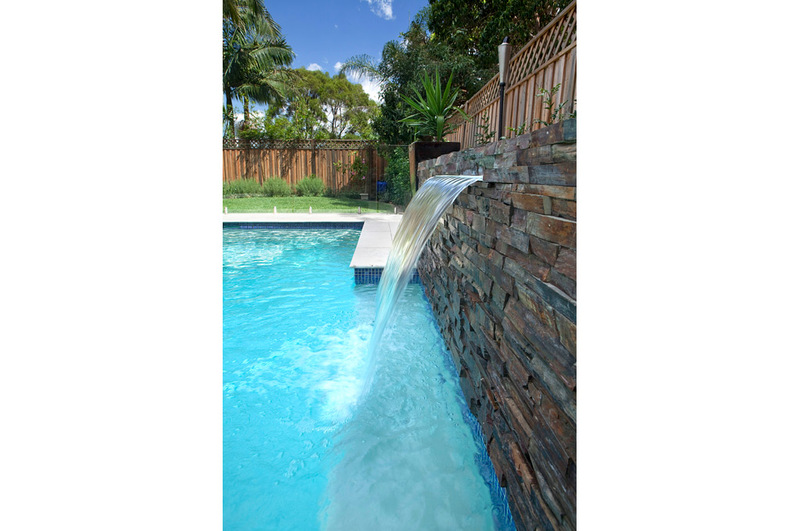 The other alcove has a line of Spa jets that can blast out water giving the effect and feel of a Spa. 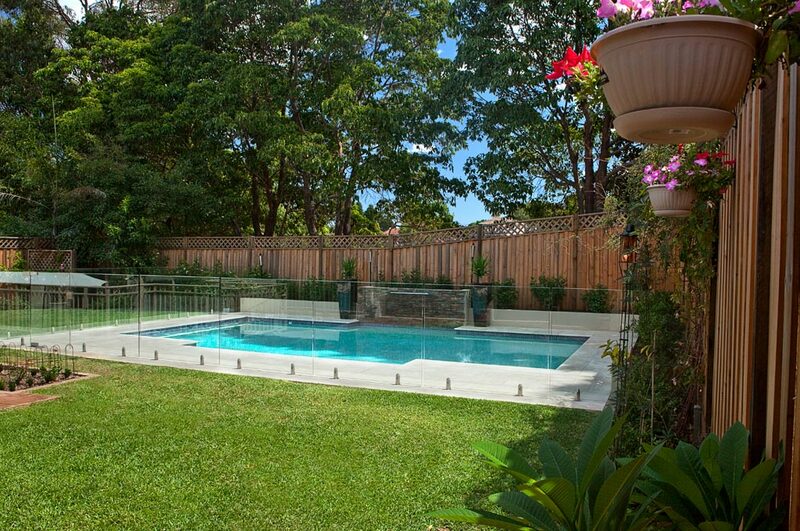 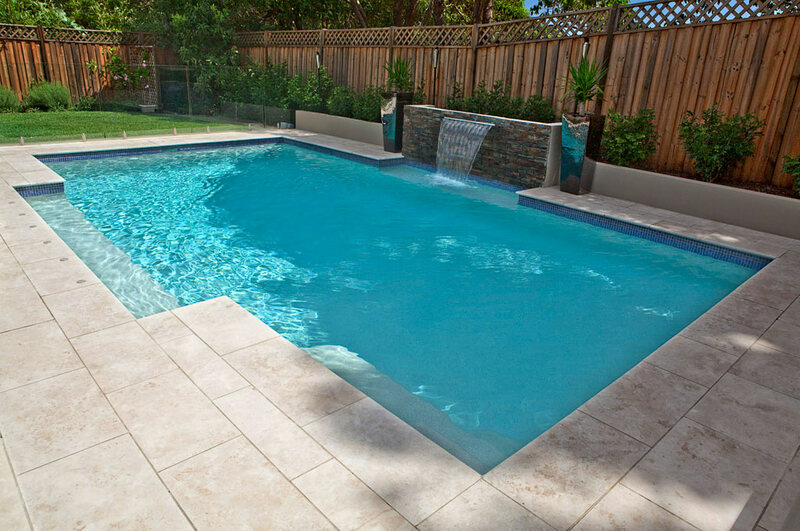 Featuring two alcoves adjacent to each other provides an illusion the pool is wider than it actually is. 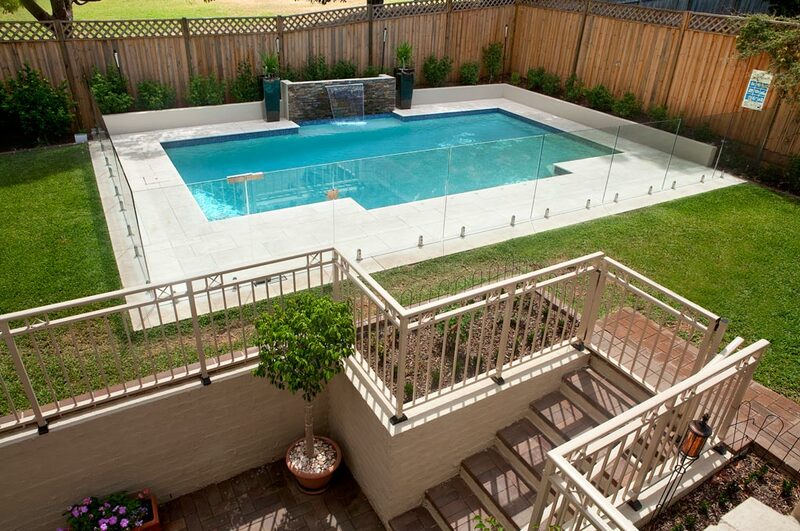 This swimming pool has been designed with a family in mind. 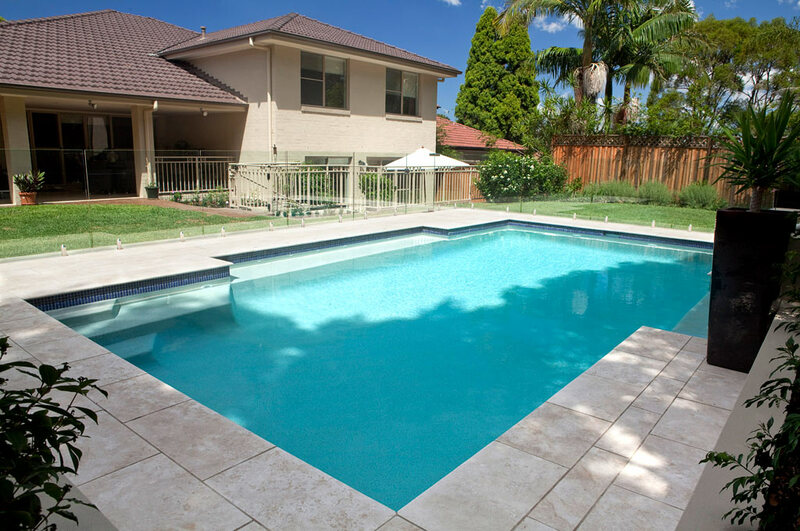 The walkways have been extended out to 800 and 1200mm providing additional usable space around the pool and a gas heater means the pool can be used all year round.